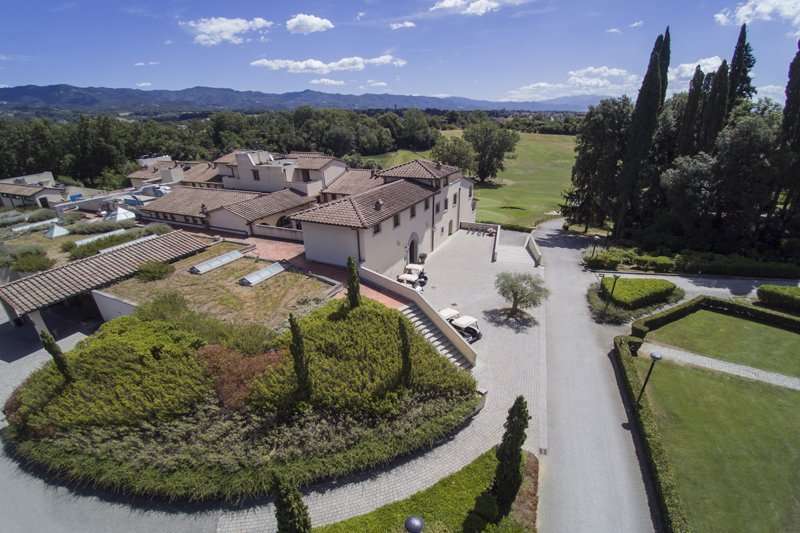 Beautifully positioned in the Florence Hills, at the foot of the Apennines and close to the village of Scarperia is the wonderful four-star UNA Poggio Dei Medici. 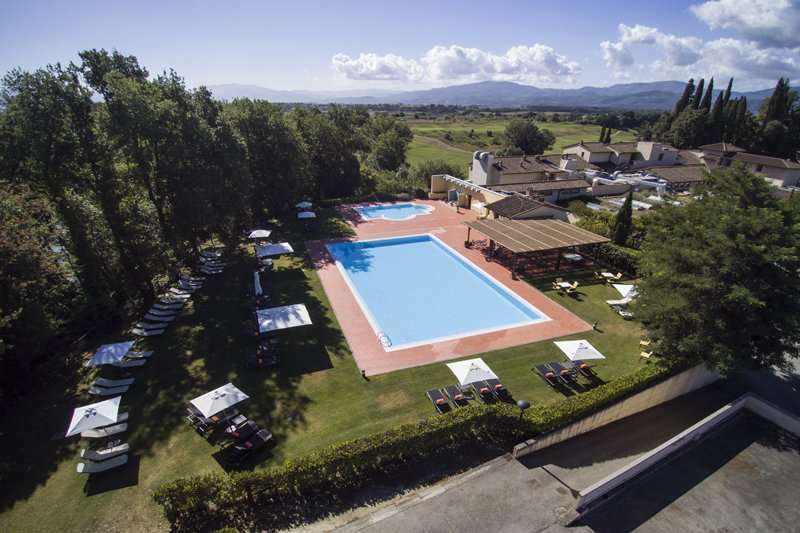 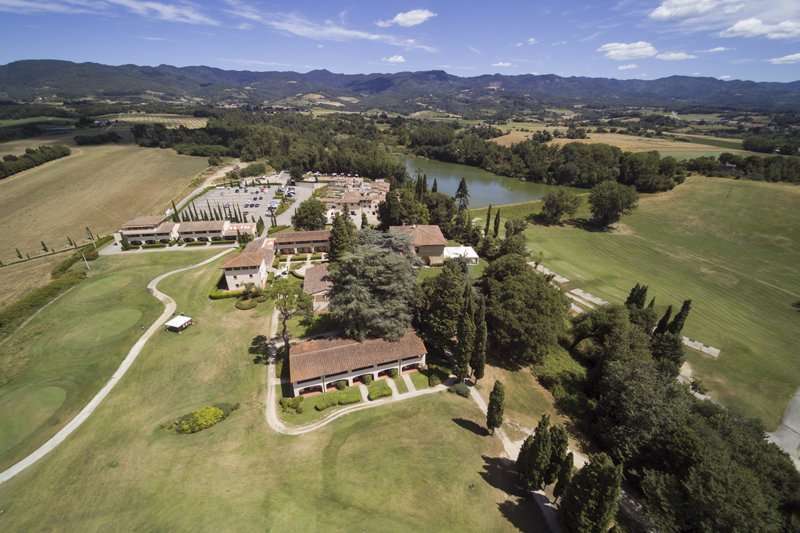 Not only does the hotel boast a stunning location in tranquil surroundings and close to a town but it is also facing the impressive Poggio Dei Medici Golf Club which has a brilliant 18-hole championship course. 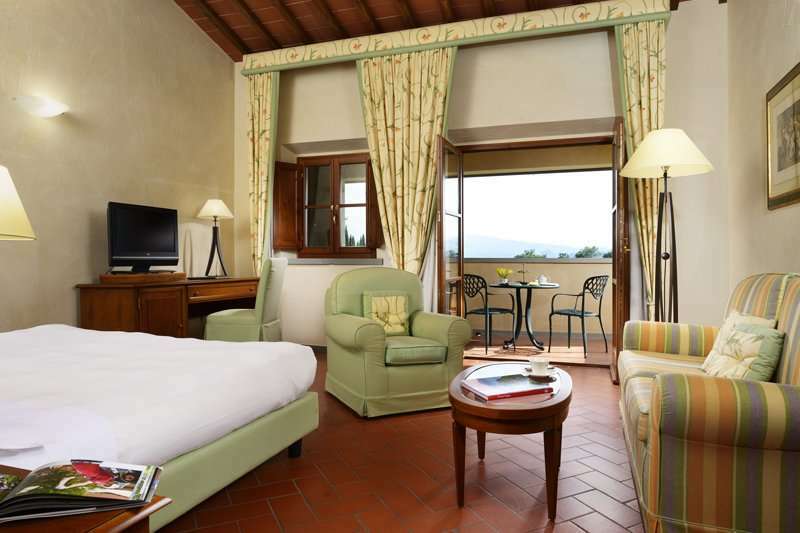 In Scarperia you can enjoy learning about the town’s history and visit some great sites as well as indulge in some brilliant food and drink if you don’t chose to dine in at the hotel. 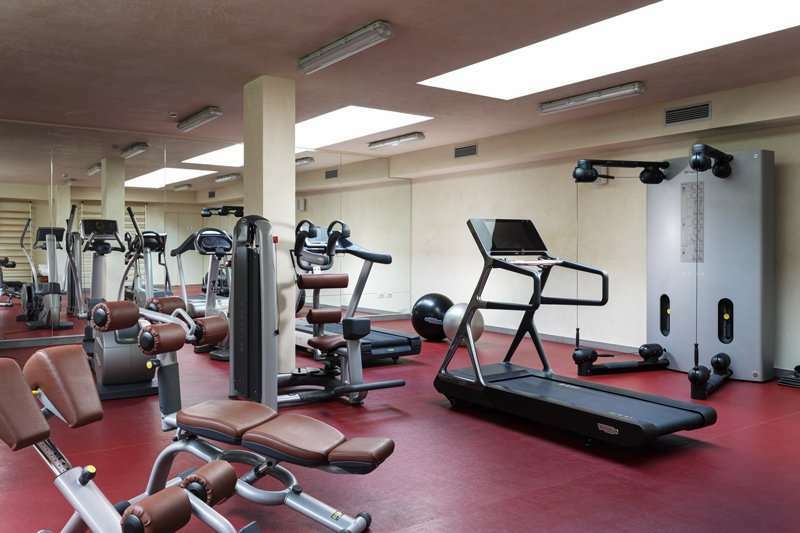 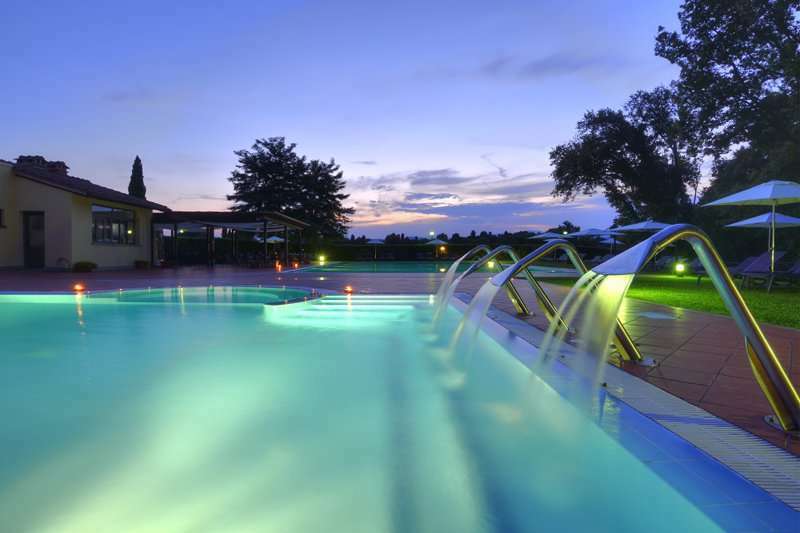 Undeniably, one of the best things about UNA Poggio Dei Medici is the brilliant golf course that is so close to the hotel but there are many things to do for non-golfers as well like the large outdoor swimming pool as well as the fitness and wellness centre which features a great gym and also the opportunity for different massages and treatments as well as a Turkish bath. 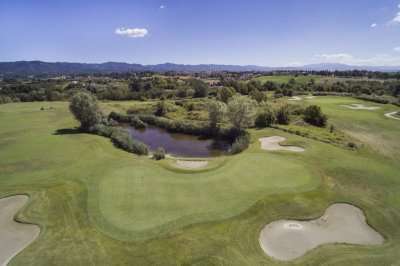 With all of this as well as evening entertainment at dinner in the summer months this is a superb choice for your next golf escape with fantastic golf, an excellent location and good facilities. You will always be greeted warmly by staff here at UNA Poggio Dei Medici and throughout your stay they will always try to make sure that your break is enjoyable as possible providing high levels of customer service all day every day. All of the 70 spacious and light rooms are set in a restored farmhouse and are elegantly decorated in a Tuscan theme and feature free Wi-Fi, either a private garden area or balcony and all boast direct access out onto the golf course which is ideal for when you don’t want to have to travel far for a round of great golf. 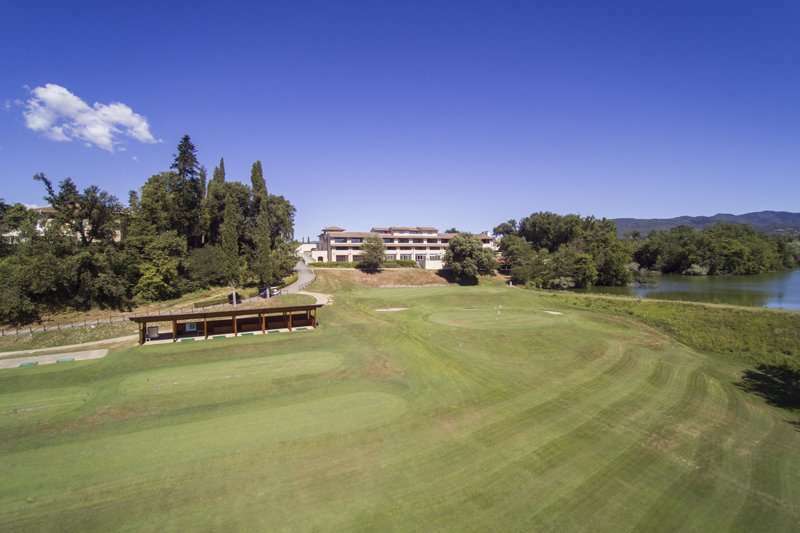 Although Scarperia is close by to the hotel, there is technically no reason for you to leave the hotel very often as everything that you could possibly need for a great golf break is right on site. 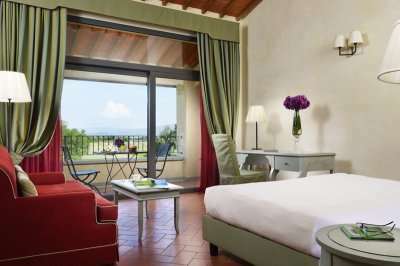 The UNA Restaurant serves delicious Tuscan specialities which are mainly made from locally sourced ingredients. 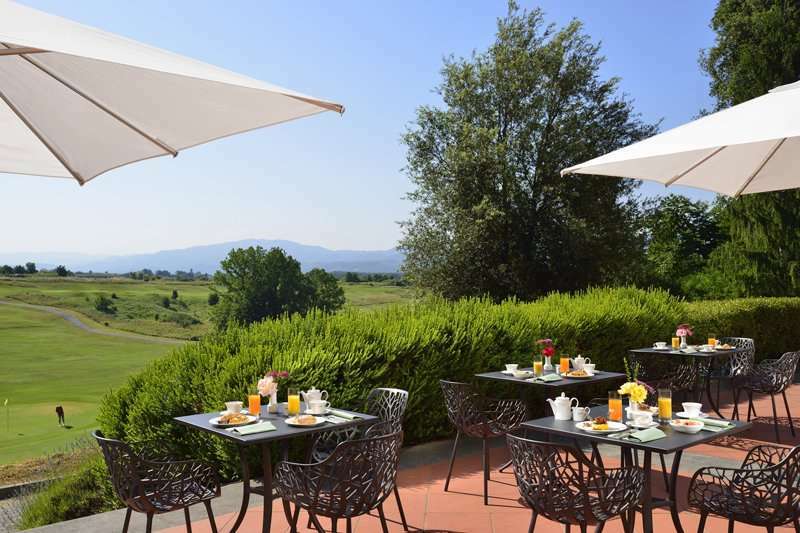 Whilst dining at the restaurant, you can dine outside on the terrace which overlooks the lake of Cignano. 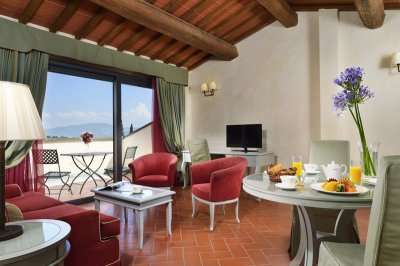 This is a luxurious, beautiful hotel set in magnificent surroundings with all of the facilities and amenities both within the hotel and in the local area that you could possibly need for your next peaceful and relaxing golf break to Italy.